The N2560 is a 2-bay network appliance that takes a somewhat radical departure in design from what we have been accustomed to from Thecus. This NAS is not the standard jukebox inspired black box we have been used to. Instead, this new NAS comes in a sleek, clean, and rounded design reminiscent of something from an episode of the Jetsons. The smooth appearance and clean white color coupled with its small footprint allows you to display your NAS with pride, instead of hiding it under your desk or behind your TV stand. The N2650 is powered by Intel’s new Atom SoC CE5335 processor (1.6GHz) and teamed up with 2GB of DDR3 RAM to deliver a more powerful multimedia experience. It is a toaster sized network appliance that weighs in at just 2.4kg and measures just 166mm x 114mm x 210mm. The primary focus here is to connect your home and your digital life through the Thecus experience. The N2560’s multimedia capabilities bring you one step closer to eliminating many of the components in your home theater. With the integrated HDMI port and an XBMC application, you can connect your NAS to your TV and enjoy full suite of multimedia playback features. Adding to that, the N2560 has DLNA/iTunes support, full backup capabilities for your computers, iOS and Android Apps, and a bunch of other features. 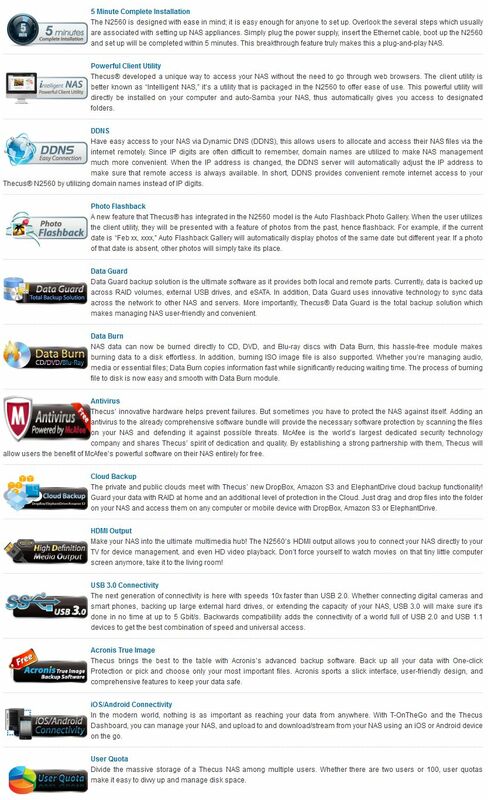 Thecus also supports the installation of modules so that you can bring new features to your NAS. The available list of applications is small but growing. There are plenty of 3rd party modules available as well. It’s possible to control this NAS (especially under XBMC) with a remote control? Is there the possibility to connect an USB dongle to use a remote, like the Logitech Harmony? 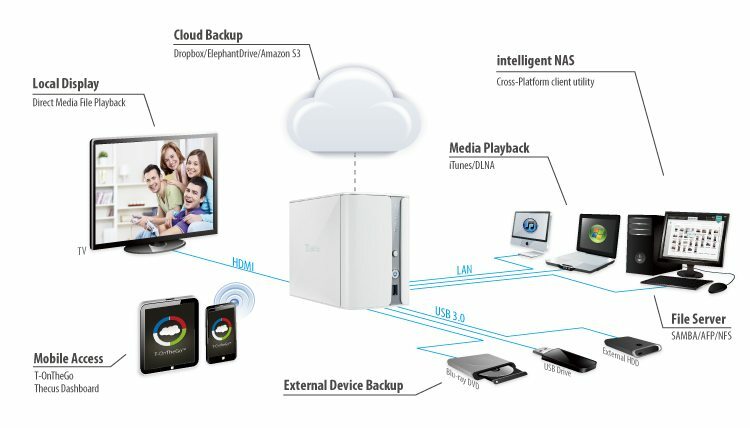 There are a bunch of ways you can control NAS with XBMC… iPhone or Android apps are plentiful. For my iPad, I use Constellation, Android has some good options too. 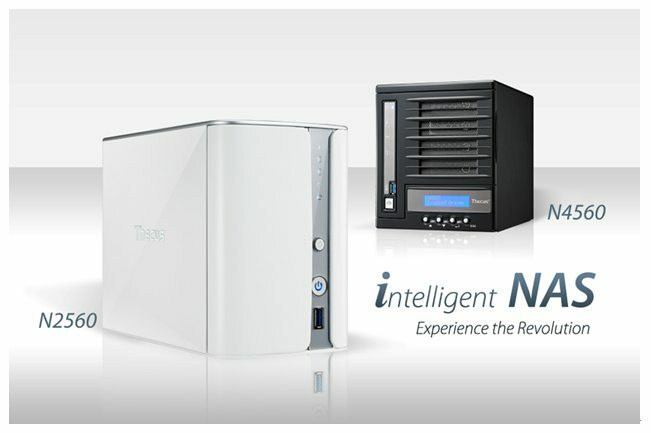 The N2560 is a good entry-level home / small business NAS that is priced to sell.